Getting learners engaged is one thing, but maintaining Epic Meaning throughout a training programme can be a struggle. Here's how to succeed. The Importance Of The Admin: Why The Role Of The Administrator Is Crucial? A good story needs a great storyteller to pull it together into something epic. It’s much the same way as a how good ingredients need a great chef to create a mind-blowing dish. That’s why you should never underestimate your importance as the programme administrator! You hold a huge amount of responsibility for the success of the project, and it’s up to you to maintain the Epic Meaning on an ongoing basis. When you’re really engaged with something, there’s nothing worse than reaching the end and thinking that it’s all over. You want your learners to embrace the idea of continuing progress, so you never want them to feel as though they’ve peaked and can’t improve any further. That’s why it’s crucial to leave your theme and narrative open-ended so that it can continue and grow. A constant stream of fresh and exciting content will ensure that engagement is maintained for the foreseeable future! A great admin will infuse concept and Epic Meaning into absolutely everything they produce. You’ll never find them pushing out a bland, unbranded piece of content! By linking everything back to your theme or narrative, you’ll be able to tie everything in your programme together, and reinforce the idea that everything the learner does is contributing to their training. This will ultimately increase and maintain engagement. As an admin, you should be stimulating discussion and participation wherever possible. Clever use of social learning is a fantastic way to keep your training programme at the front of your learners’ minds and will help them to take the Epic Meaning on board. If you’re using a social learning platform, then make sure that you’re checking in on a regular basis to comment on learner posts and to kick-start conversations. You can also send regular reminders to learners, bringing them back time and again and reinforcing the platform as a first point of call for their training needs. If your learners log in to your LMS day after day and see the exact same images over and over again, the impact of the Epic Meaning will inevitably start to fade. To avoid stagnation, the admin should mix things up a bit every now and then to keep the programme fresh and exciting! 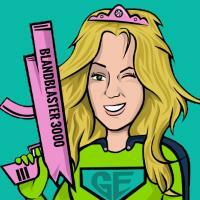 As long as your imagery is consistent, you can have some fun playing around with it. If your theme includes characters for example, then give them Christmas hats towards the end of the year. Also, if you use banners on your LMS then you should switch them out whenever a major piece of content is released, or when a special event is running. 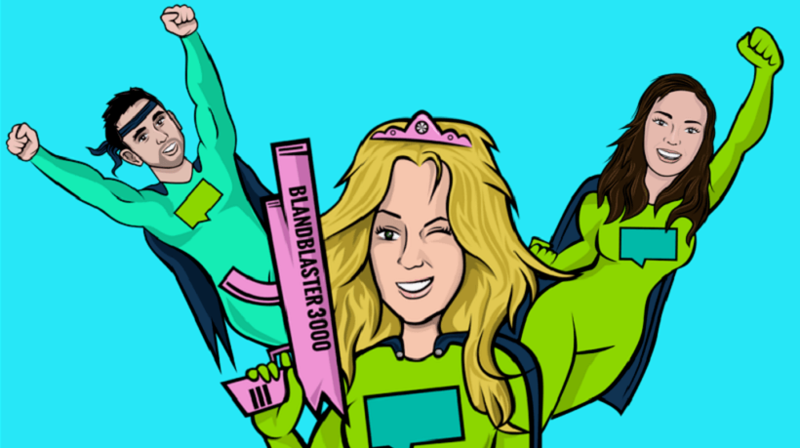 Rewards are a great way to inspire engagement amongst your learners. Take real-world rewards for example. They have the power to make the Epic Meaning transcend the training programme and become something much more! Just make sure that your rewards are related to your theme or narrative. For instance, if your theme is around learners rising their way up the food chain in the jungle, make sure any badges they earn on your LMS are animal related. Also, if you have the budget for real-world rewards, offer your learners the opportunity to become a lion tamer for the day! 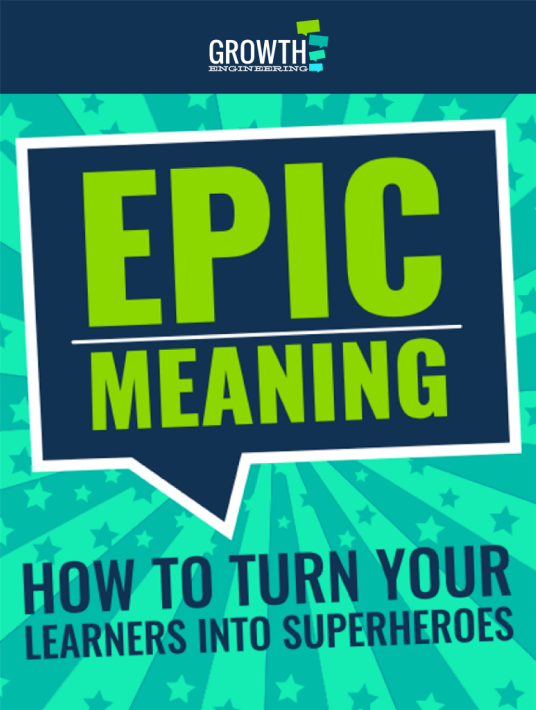 If you’re looking for more ways to deliver Epic Meaning to your training then you should download our free eBook Epic Meaning: How To Turn Your Learners Into Superheroes.